Indoor seating at Strong Water Tavern. What Is Strong Water Tavern? Strong Water Tavern is a restaurant and rum bar. It is located just off the lobby of Loews Sapphire Falls Resort. Strong Water Tavern opens daily at 4:00 pm. There are more than 60 types of rum available for tasting. Some of the rum is aged in white oak barrels behind the bar. 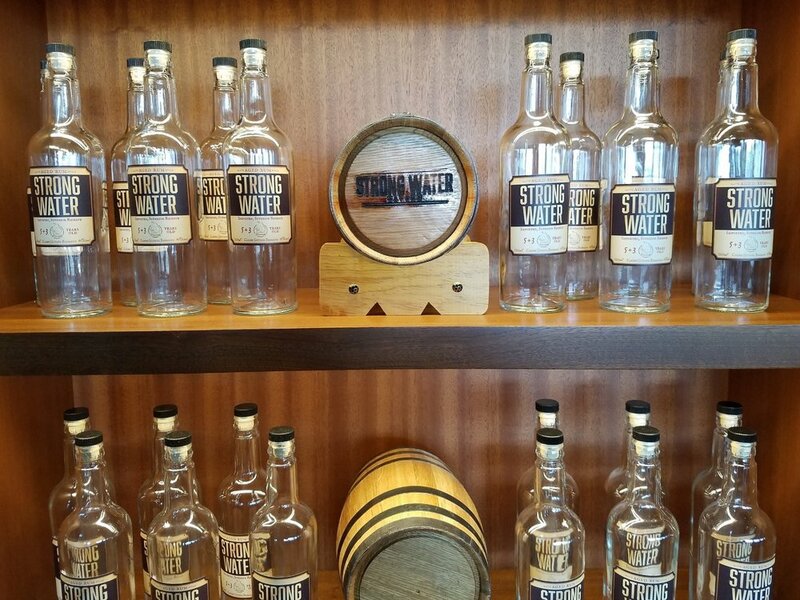 You can get rum at Strong Water Tavern that can't be found anywhere else. Rum specialists are on hand to help guests choose the perfect rum for their individual tastes. Guests who participate in a rum experience get a special "passport" as a souvenir. The outdoor patio at Strong Water Tavern overlooks the lagoon. Strong Water Tavern has a Caribbean inspired tapas menu. The ceiling at Strong Water Tavern is decorated in a unique way. The view from the outdoor patio at Strong Water Tavern. You can also choose from a few different ceviches (raw seafood cured in citrus juices) and a nice range of desserts, including bread pudding, rice pudding, Johnny cakes, flan, etc. See the full Strong Water Tavern menu. Strong Water Tavern was one of the first things we saw after entering the lobby area of Loews Sapphire Falls Resort, so we were very keen to go inside and check it out. Unfortunately, it was a little early for that since Strong Water Tavern doesn't open until 4:00 pm. We ended up visiting on our second day at the hotel. It was about 4:15 pm on a Monday, so it wasn't very busy. We were encouraged to seat ourselves. 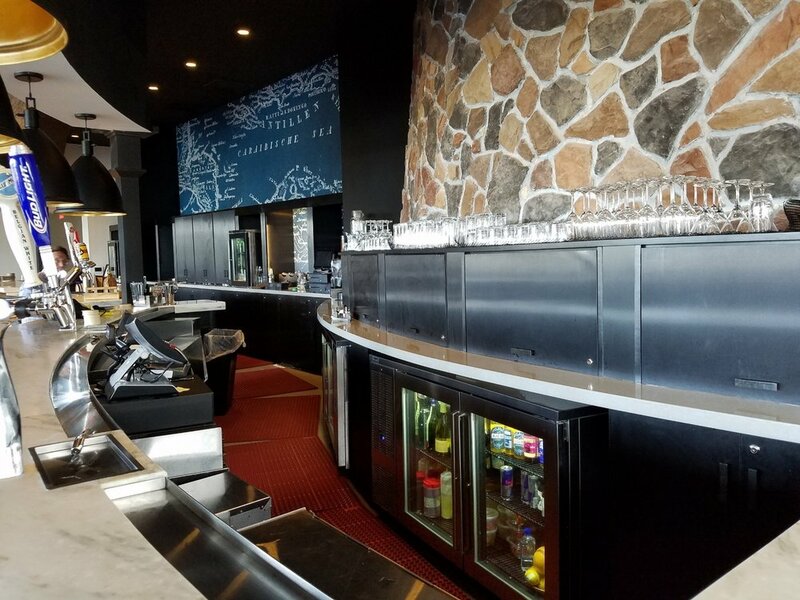 There are a lot of different seating options to choose from, including a bar, small tables (indoors and outdoors), booths, and even a big overstuffed couch. We sat at one of the small tables near a wall of TVs where we had a good view of bar and the other seating areas. Our server Daniel was very friendly and ready to answer all of our questions about the menu. That was a good thing because the drink menu is rather expansive and can feel a little overwhelming if you're not sure what to get. We each got a drink, which came out very quickly, and ordered two small plates from the menu. Sweet Plantain and Beef Hash at Strong Water Tavern. We chose the Sweet Plantain and Beef Hash, which consisted of sweet plantains and spiced shredded beef topped with onions and peppers and a sunny side up egg, and Buttermilk Fried Chicken Tenders, which were served with steak fries, cabbage slaw, and a (super-hot) hot sauce. The Sweet Plantain and Beef Hash was $9, and the Buttermilk Fried Chicken Tenders were $10. Buttermilk Fried Chicken Tenders, Steak Fries, and Cabbage Slaw at Strong Water Tavern. The Sweet Plantain and Beef Hash was really spectacular; it probably topped the list of the best dishes during our six-day stay at Universal Orlando. 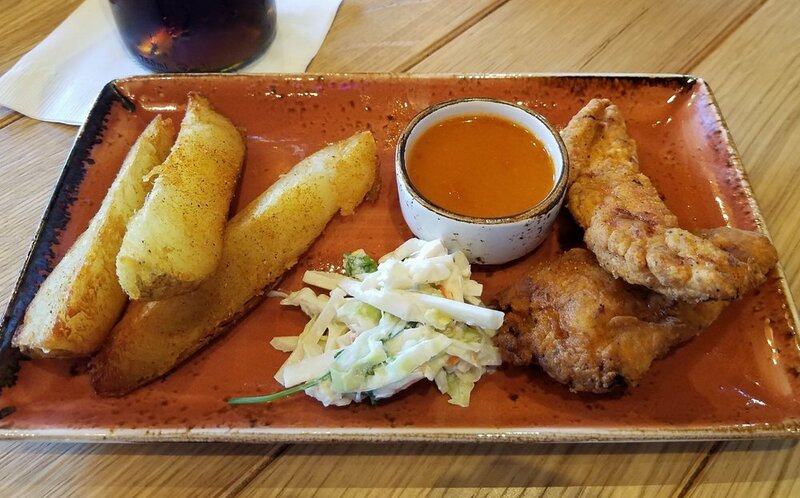 The Buttermilk Fried Chicken Tenders were also very tasty, though the dipping sauce (served on the side) was well beyond hot and spicy and felt a bit like battery acid on the tongue. The Sweet Plantain and Beef Hash was so good that it is really hard to complain about the price. It was more filling than expected and well worth $9. The Buttermilk Fried Chicken Tenders, on the other hand, didn't feel like a great value for $10. The tenders were quite small, there were only three steak fries, and the coleslaw could have been eaten in one hearty spoonful. The prices for each plate on the menu range from about $8 to $16. Based on what we ate, our guess is that you can expect high quality food, but you shouldn't expect outstanding bang for your buck when you visit Strong Water Tavern. If you go to eat, it is key to remember that you're getting small plates, and in some cases, you're paying what you might pay for a full meal at certain restaurants in CityWalk. We recommend visiting for the rum and a small snack or maybe a tasty dessert. If you're really hungry, or if you're looking for a bargain or shareable plates, you should head to another restaurant. Full disclosure: we did not pay for our meal at Strong Water Tavern because we had free dining credits that came with our hotel room. 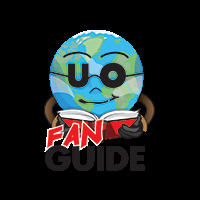 Universal Orlando Resort recently shared a recipe for Strong Water Tavern Grog on the UOR YouTube channel. This recipe is a good way to get a taste of Strong Water Tavern without leaving your house. Mix liquid ingredients. Add ice. Shake. Strain into a short ice-filled glass. Garnish with an orange slice and a cinnamon stick. How to make a Strong Water Tavern Grog from Loews Sapphire Falls Resort. Video courtesy of Universal Orlando Resort. See pictures of the bar, seating areas, and food at Strong Water Tavern in Loews Sapphire Falls Resort. This video from Universal Orlando Resort will show you more about the food and drink offerings at Strong Water Tavern. An inside look at Strong Water Tavern from Universal Orlando Resort. 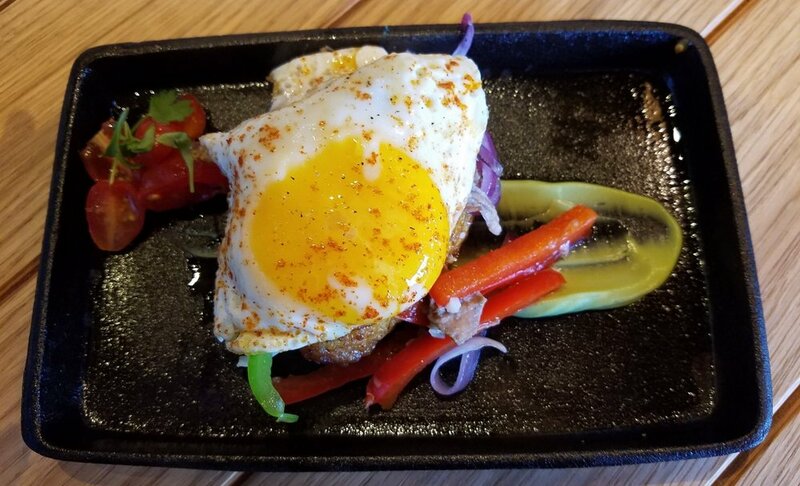 See a review of Amatista Cookhouse at Loews Sapphire Falls Resort to learn more about Amatista Cookhouse dining, menus, and prices. New Dutch Trading Co at Loews Sapphire Falls Resort offers grab-and-go food options. Learn about the menu, prices and more in this New Dutch Trading Co review. 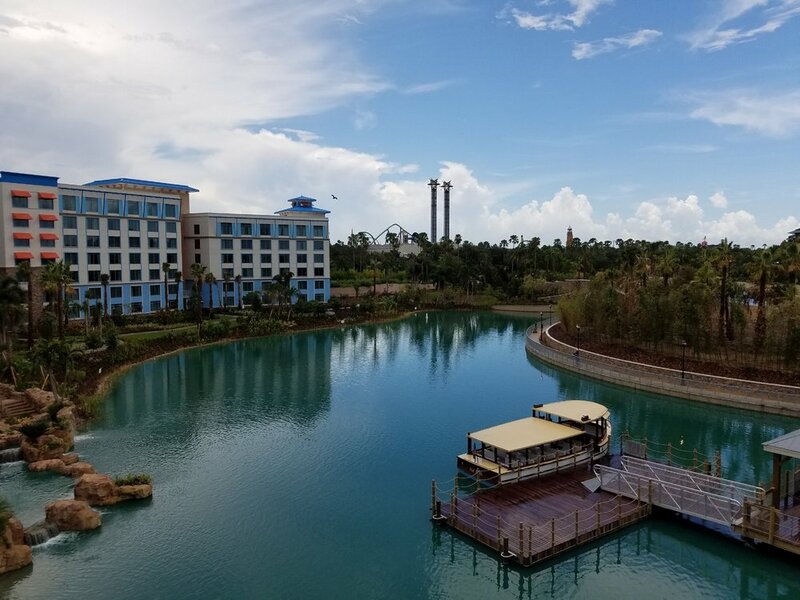 See this comprehensive review of Loews Sapphire Falls Resort in Universal Orlando to learn about the pros and cons of this hotel. See pictures of Loews Sapphire Falls Resort in Universal Orlando.